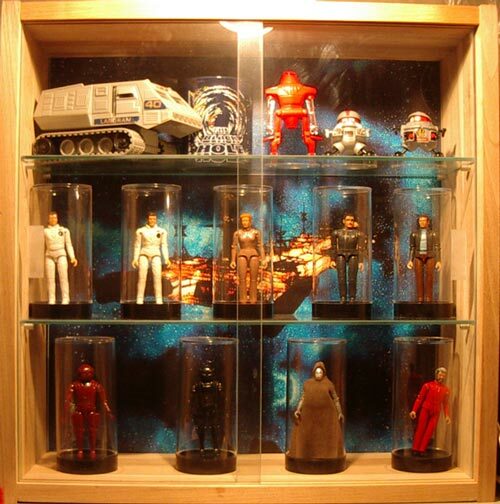 Shown here are the 6 Human figures, 5 Robots and the Humanoid. 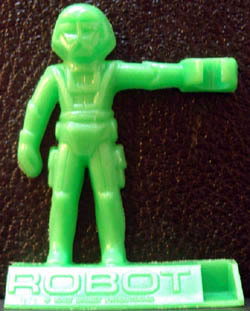 The Humanoid is possibly one of the rarest action figures from the 70's and 80's. It was only released in Canada and Italy and commands quite the price carded or loose. These pen holders were available in Shreddies products 1979-1980. There were 24 separate mold cavities used to create the holders, 6 for each robot. Mold numbers can be seen on the back. Colours can vary; it seems the injection machine was not cleaned during colour switchovers, and various shades of each colour can be found. Here are 3 of the 4(?) 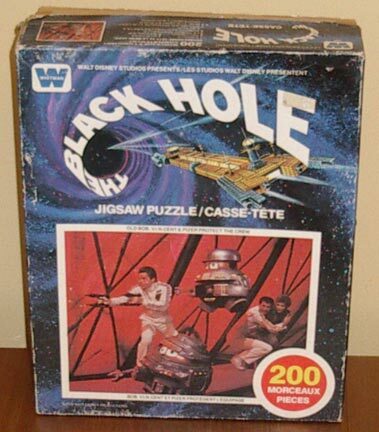 Canadian Black Hole Puzzles. 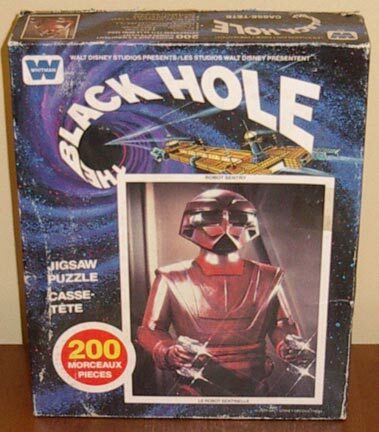 Each puzzle title is printed on the box in English and French. At least one set of Viewmaster reels was released on a Canadian Card. The envelope and reels are in the standard U.S. envelope stapled to a bilingual Canadian header card. Exactly what it looks like. 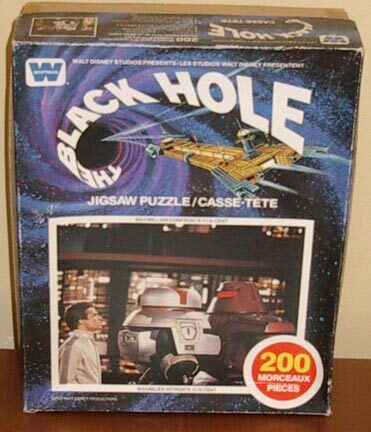 A disposable Black Hole tablecloth in a shrinkwrap Canadian package. 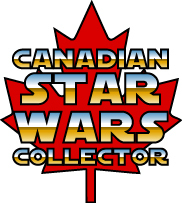 A must for the die-hard fan or collector.